Realtor WordPress Themes are designed for many property renting business purposes. If you are a property estate agent/realtor, decorator/stager, dealer, manager or any contact based marketing personnel then these add-ons can be of greater advantages. These themes are adorned with tremendous features like Google map integration to locate your listed property, Ad & banner facilities, lead capture & shortcodes and more. 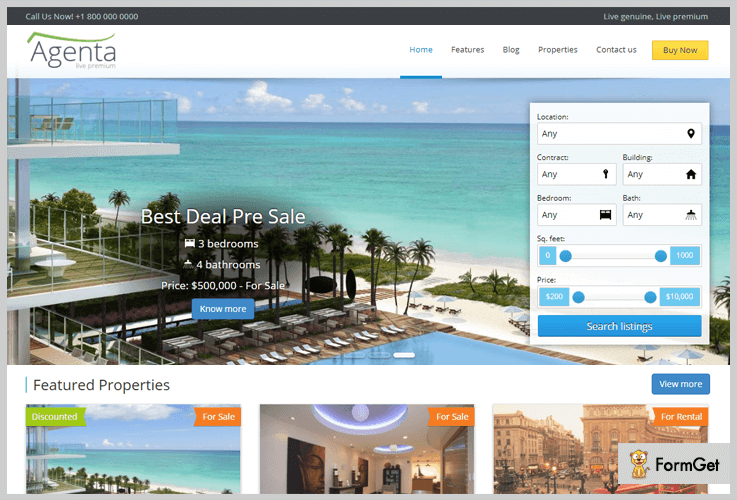 This article is going to cover the list of 5+ best realtor WordPress themes. All the themes have their own unique features and are arranged in the manner of their ratings, popularity and active users. Just go through each theme, one by one and choose what suits you best. 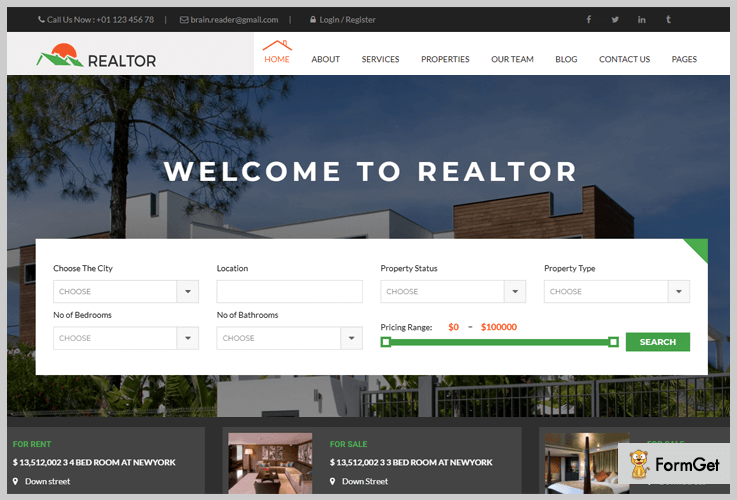 Realtor is a real estate WordPress theme. No programming knowledge is required to make your realtor website with easy drag and drop options. There are only a few languages following the RTL writing pattern. Despite this lingo spread over the planet and RTL support can contribute in connecting with your audience creatively. In addition, the IDX plugin comes integrated with this addon to show home inquiry elements on your site. The Realtor WordPress theme has a regular license of $69 with complete documentation and 6-month support. Advanced theme options consolidate it right with WordPress. This addon will expedite a revolution slider. WPML compatible to make it obvious to multilingual destinations for the corporate spheres. GT matrix embedded to show your site’s performance over the web. Rental Home is a WordPress theme for the houses on rent. It is a realtor WordPress theme for property dealers, brokers, managers and best suitable for rental websites. This theme provides lead capture form to collect leads for further use. Also, this addon is enriched with features listings area for the various properties available for rent. The featured Ads slider is an outstanding feature of this theme. Through which you can craft Ads of numerous varieties alike properties, apartments, bungalows, 1BHK/2BHK flats etc. Apart from all the other traits, it renders free or premium Ad listing options are available with this template. The Rental Home realtor WordPress themes are available on InkThemes.org at a developer license of $79 only. Two types of ad listing are available namely grid view and list view. PayPal payment gateway integrated into the Ad submission system. Account dashboard available to view/edit/delete classified Ads. The address maps are embedded for the location of every single property. 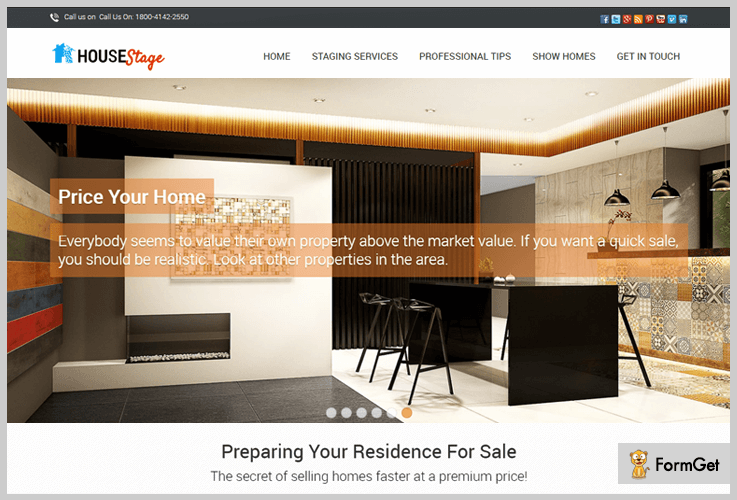 HouseStage is a home staging WordPress theme. Designed for professional home stagers, decorators, interior designers, real estate agents/professionals and various home staging firms. Contact form with google map facility is available with this skin. It is a one-page business template in which all that matters is the simplicity. Simplicity is about deducting the explicit and adding the significant. This theme focuses the visitor’s gestures only to the most significant content. In this template, every section is arranged beautifully in a flow with smooth-scrolling. Rather also contains a navigation menu and a back to top button for ease of access. Pricing plan for the HouseStage realtor WordPress theme is $79 with 30 days money back guarantee and lifetime usage. Hexagonal layered portfolio section to present multiple images with a little description to appeal the site visitor. Blog section to share home stager stories, staging tips and experience of your business. Contact section with Google map facility. Full-width slider to attractively showcase your images. Agenta is a real estate WordPress template for property agents, realtors, brokers and the specific personnel related to this domain. It is the best theme for rental business, property sales, and contact based marketing. The theme’s advanced search options will help you to search through several categorization filters. And the Google map will help you locate the property easily. 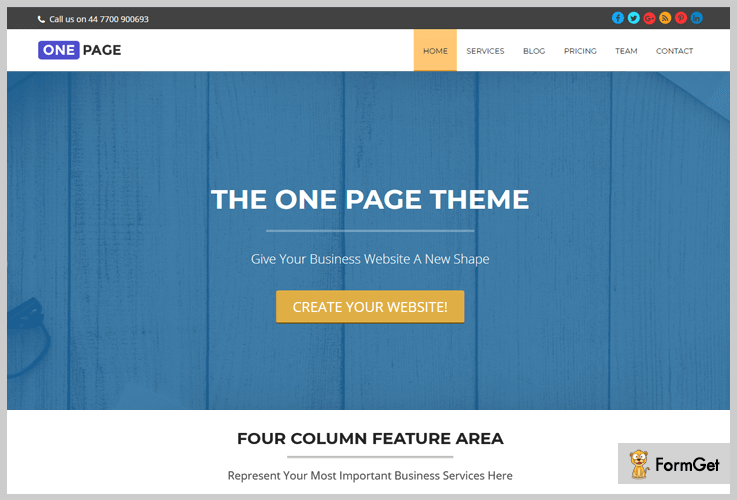 This theme has different page designs for the content page, blog page, feature listing page & contact page. The Agenta realtor WordPress theme will cost you & $50 along with regular updates and free custom templates. Provides Google re-captcha protection in agent contact form. It contains a drag and drops page builder features. Shortcodes and instances/add-ons for the visual composer. It is a bug-free theme/template. ColorWay is a free product of InkThemes.com and has 10000+ active users. It is a multipurpose template with various customizable options. Through theme options panel the logo, background & theme analytics can be tweaked very easily. It’s has a single click installation and activation. This template has some default dummy content present to better understand the functionality of the addon. The ColorWay is a FREE to-use addon with 4-star ratings. You can download it from worrdpress.org directly. This theme provides support for threaded comments. It is translation ready and you can choose the language of the theme while downloading. Various templates are available with this template. The theme has a widgetized footer section. 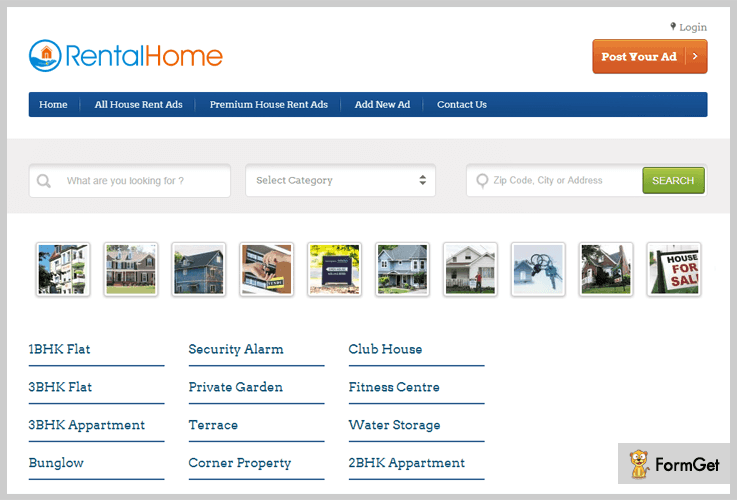 One Page is a simplified, single page, free realtor WordPress theme. The theme has a fullwidth 100% fluid layout. The homepage contains the blog listing area, widgetized sidebar, footer area and a back to top button. Fully customizable layout with various alternatives available in the options panel. 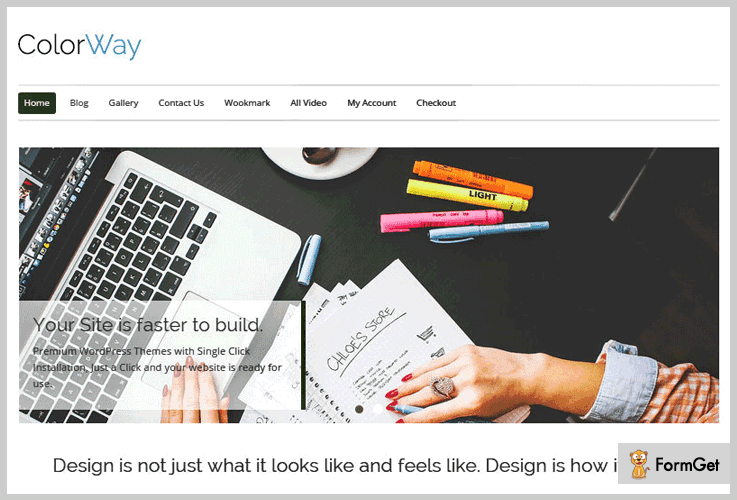 This theme is suitable for personal as well as business purpose. The One Page is a FREE product of inkthemes.com with 4000+ happy users. 5 slider options with transition options and overlay color settings. Support font awesome and bootstrap icons for the business section. A hexagonal portfolio section with parallax image effect. Multiple options available choosing the testimonial section style and layout. Concluding toward the domain 5+ Realtor WordPress Themes 2019 (Free and Paid). These listing are ready-made for some predefined categories and also you can mold any skin as your desire. Every listing can be customized easily and have some content already available for a better understanding of the overall functionality. Hope the article helped you and for any further queries and suggestions.